Nissan's revolution of its model range didn't start at the Qashqai; the Japanese firm's line-up showed some flashes of inspiration before its crossover arrived. The Note is a one such example; Nissan created a small, but generously proportioned family car with boot space bettering cars in the class above. Taking what's effectively a simple box and making it look good the Note's styling isn't radical, but the high mounted rear lights and bold grille make it stand out - and distract from its rather worthy purpose. Introduced in 2006, and built at Nissan's UK Sunderland facility, the Note was replaced at the end of 2013. Closely related to Renault's Modus under the skin, the Nissan outlived and outsold its French rival by a significant margin. Thank the Nissan's more conventional design approach, good value and generous equipment levels across the range for that. In the seven years it was produced it had a couple of mild makeover and specification tweaks, the biggest restyle being in 2009 when it received larger more angular front lights and a more assertively styled grille with chrome lower insets. Versatility is the Note's key selling point. It can seat four adults with ease, leg- and headroom back and front being generous, while the rear seats slide to create more space if required. The boot is vast and higher spec models come with a dual-floored versatile boot separator that Nissan calls ‘Flexi Board'. Early models were typically trimmed S, SE and SVE/SXE, though many special editions have been offered in the model's lifecycle. Later models became Visia, Acenta and Tekna in line with Nissan's European naming strategy. Regardless, all come decently specified, with higher trim lines gaining things like privacy glass, though most feature electric windows all round, alloy wheels and air conditioning. Engine choices too have changed in the model's long run. The diesel - a 1.5-litre Renault sourced unit - is useful if you're doing bigger mileages, but if you're likely to be doing more urban driving the 1.4-litre petrol engine is more than up to the task - while the rare 1.6-litre car is not worth the additional outlay. Interiors are solidly built, too. There's plenty choice out there so don't be rushed into buying one. The SVE models come very well equipped as standard, and unless you're putting in big distances then the 1.4-litre petrol is smooth and willing enough. It's the one we'd have. The Note is a clever, small-but-big family car. Versatile seats, a massive boot and plenty of head- and leg room mean that even if you've lanky teenagers they'll find space in the back. Reliability should be strong too, while good looks also appeal. 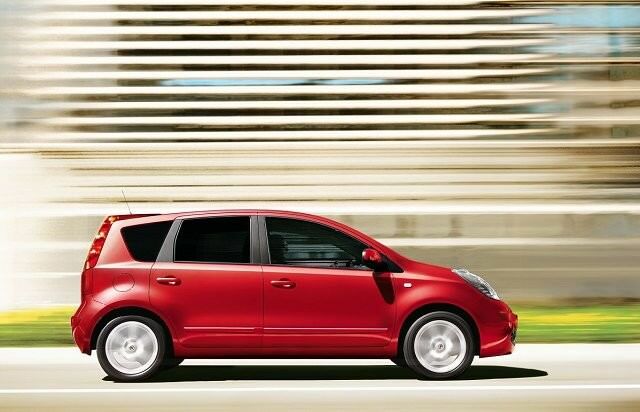 In all, the Nissan Note is a useful, sensible used buy, with plentiful choice.